SAN LORENZO, Calif. -- The Alameda County Sheriff's Office obtained a $200,000 warrant for the arrest of a suspect in a domestic violence incident in San Lorenzo last Tuesday. The female victim was sleeping when suspect Isaiah Gaar, 20, who is wanted on charges of domestic violence and assault causing great bodily injury, allegedly attacked her, a sheriff's spokesman said. She suffered facial fractures and a 2.5-inch cut above her left eyebrow, authorities said. 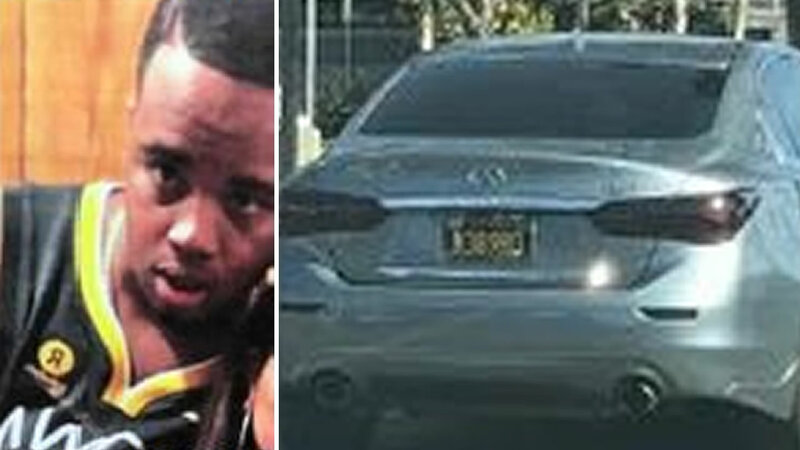 Gaar's vehicle is described as a 2014 Infiniti sedan with black and yellow legacy-style license plates with the number N3R8930. Authorities say the Infiniti has a solid, bright yellow, horizontal decal placed across the upper part of its front windshield. Authorities do not know Gaar's whereabouts, but said he has connections to San Lorenzo, Oakland, Emeryville and Vallejo. Sheriff's officials say anyone who has information about Gaar or his whereabouts should contact Detective Jen Sells at (510) 725-2977 or jsellsacgov.org.